Many investors try to register a company in the developed countries, which provide certain advantages in the implementation of a trade or business. These include the United Kingdom, which can be called respectable offshore. British offshore structures can help to minimize current taxes to relatively low level, and with the right approach – even completely eliminate them. With 110 bilateral treaties, the United Kingdom has probably the best tax treaty network in the world. 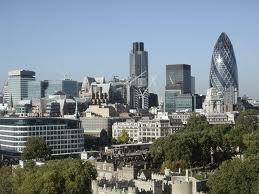 London is an investment center of the first order, allowing the UK to appear as a good gateway to European markets. Find out more: Incorporate your offshore company step by step. Or contact our specialist now. United Kingdom company formation is popular because of the simplicity of the applicable corporate law (Common Law), the costs of incorporation and management are relatively inexpensive comparing to other European countries. Although no longer strictly considered as tax haven, the United Kingdom rates of corporate taxes are among the lowest compared with many other competing jurisdictions. The accounts of the company must be audited annually although there are some exemptions. For a company of less than 50 employees having a turnover not exceeding £ 5 million and a balance sheet total not exceeding £ 2.8 million. For a company of less than 250 employees having a total turnover for £ 22.8 million or less and a total balance for £ 11.4 million or less. Corporate tax payable on profits instead of a flat tax. E-commerce solutions for online business.